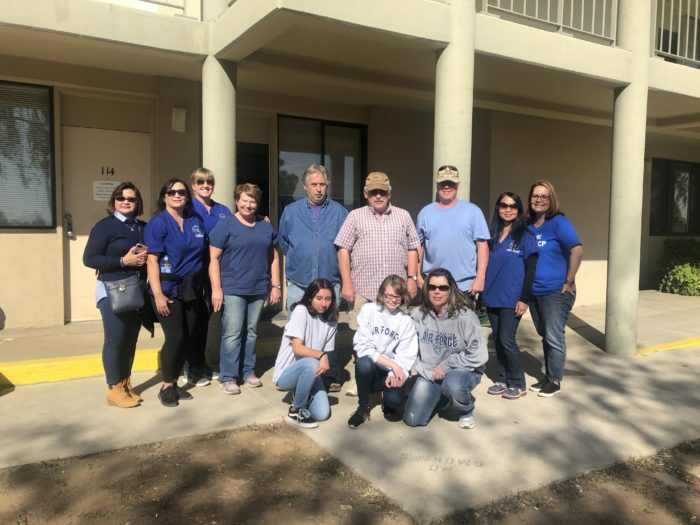 Pettis Memorial Registered Nurses Association (PMRNA) delivered food to U.S. VETS – Inland Empire. The food pantry is located in a 90-unit complex at March Air Force Base that houses veterans. Registered nurses were educated on the challenges that our veterans face following discharge including accessing housing, medical care and mental health services. The veterans were grateful for our help and took a few photos with us. They also reached out to continue to work with PMRNA on future assistance and community service that would benefit our veterans.